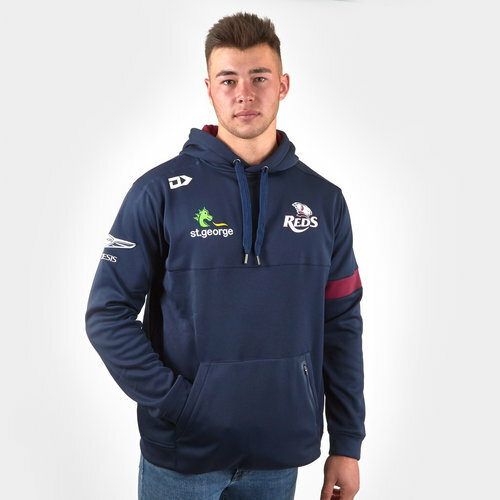 Go crazy for the Reds when you turn up to the Suncorp Stadium or out and about in this Queensland Reds 2019 Rugby Players Performance Hooded Sweat from Dynasty Sport. This hooded sweat features a sleek new design and the latest in fabric technology. With bonded seams and heat-seal this light-weight garment proudly showcases the St. George and Queensland Reds logos across the chest.